Fiber is the most underrated nutrient! Sure, we’ve all heard that fiber is important for gut health. Of course we know that digestion generally improves with fiber intake. But, did you know that high-fiber diets substantially reduce risk of cardiovascular disease, diabetes, obesity and some types of cancer? In fact, research shows that how much dietary fiber you eat is a much stronger determinant of health than other dietary factors, like how much saturated fat or sugar you eat. 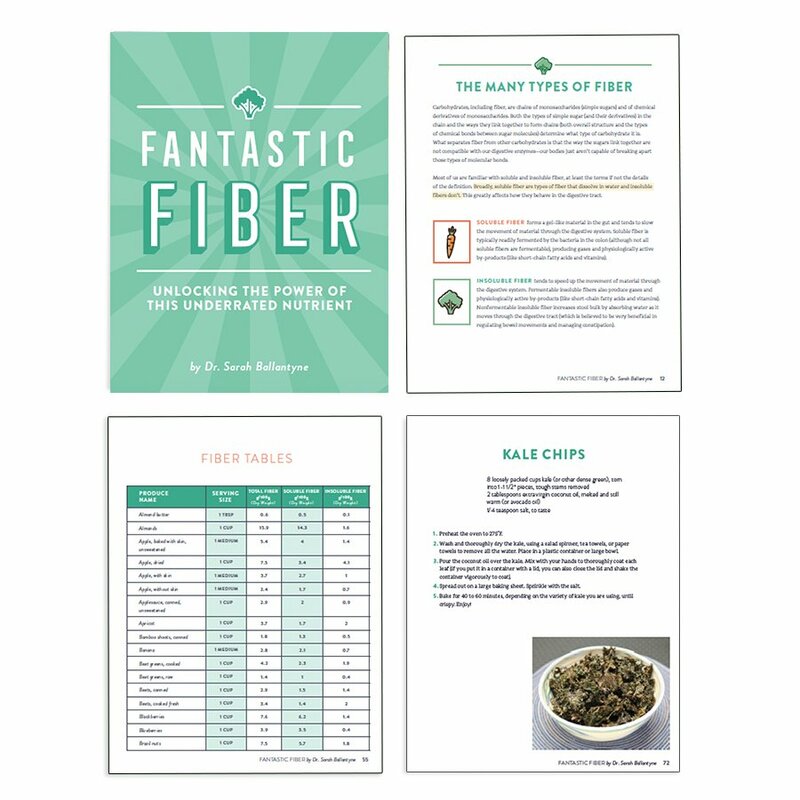 In Fantastic Fiber, I break down the why’s and how’s of adding more all-important fiber to your diet. 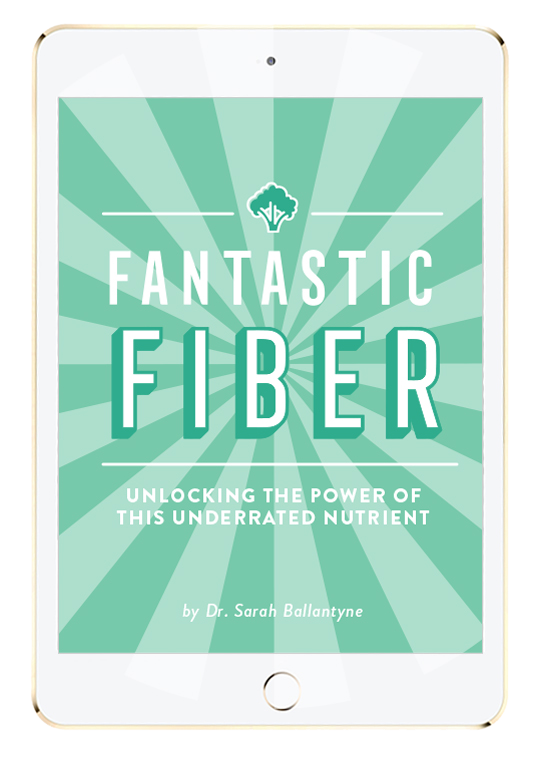 Inside, I make the case for fiber being an essential nutrient for optimal health. UNLOCK THE POWER OF THIS ESSENTIAL YET UNDERRATED NUTRIENT with Fantastic Fiber! Do You Eat Enough of the Right Kinds of Fiber? Even those following Paleo, Primal and Ancestral diets can fall far short in terms of fiber intake! That’s why I wrote Fantastic Fiber! I’ve collected years of my own research on the powerful health changes brought on by high-fiber diets into one easy-to-read place! 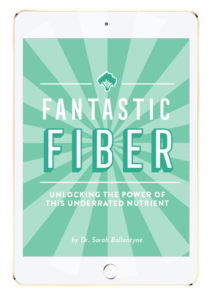 Not all types of fiber are created equal, so I specify the health effects of different fiber types and bust important fiber myths! I cover why supplementing with fiber isn’t a good idea, how much whole-food fiber we need, and which foods contain the highest amounts of this amazing nutrient. Plus, you’ll get get plenty of tips and handy master recipes to help you eat (and enjoy!) more fiber-rich foods! DISCOVER JUST HOW MUCH YOUR HEALTH CAN IMPROVE BY FOCUSING ON MORE OF THE BEST TYPES OF FIBER! GET INSTANT DIGITAL ACCESS FOR ONLY $7.99!